Do you like Crazy Frog? Share it with your friends. 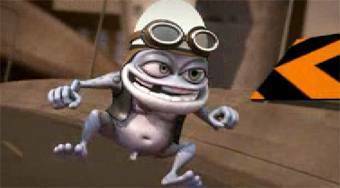 "Crazy Frog" hash been a very popular animated character lately. Watch an entertaining video, where this frog plays the main role. Is this character one of your favorites or are you one of those who haven't been able to stand it?